DALLAS (PRWEB) – Silver Screen Bottling Company and Fox Studios have partnered to launch Dutch Bourbon Whiskey to celebrate “Predator,” the iconic Hollywood blockbuster that was ranked one of the best action movies of all time by Rolling Stone magazine. 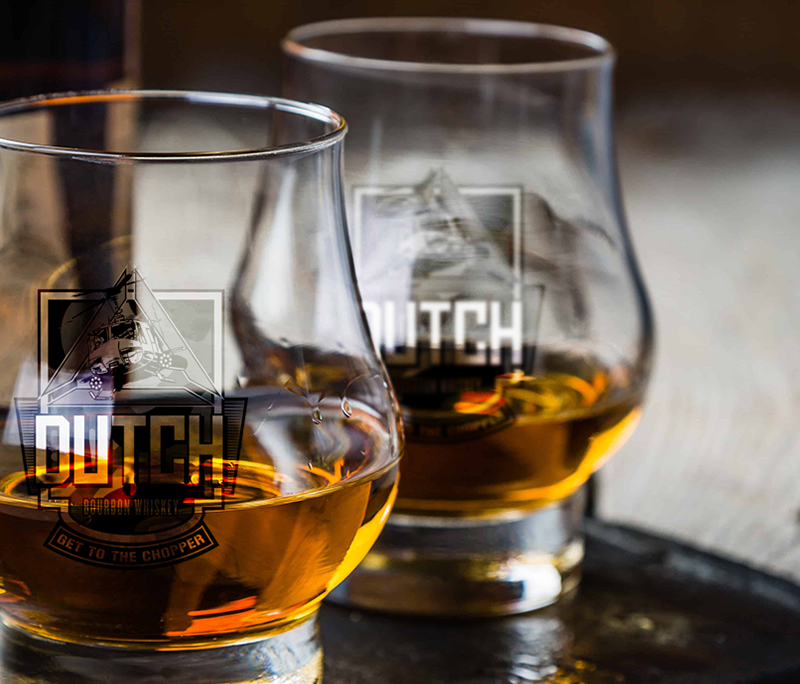 Dutch Bourbon Whiskey is a nod to the film’s main character, Major Alan “Dutch” Schaefer, who leads an elite band of soldiers on a rescue mission in central America. On the mission they encounter an alien-like creature who destroys most of the team in gory fashion. In the movie’s closing scenes, Dutch defeats the creature and is rescued by helicopter. Dutch Bourbon Whiskey is fit for a person on a mission with a bold taste for adventure. This whiskey will do more than cover you with mud, it will take you to a new level with its full-bodied flavor and hints of vanilla, coconut, and bergamont. The label is designed to look like an elite special forces patch and features the targeting crosshairs of the alien creature, a military helicopter and the quote made famous in the movie, “Get to the Chopper!” Bottles sell for $34.99 each and are available for presale at http://www.dutchwhiskey.com. Dutch Bourbon Whiskey is the latest release by Silver Screen Bottling Co., which has launched award-winning spirit brands around other iconic franchises like Star Trek, Fear the Walking Dead and the Fallout videogame. Visit http://www.silverscreenbottling.com to learn more about Silver Screen Bottling Company’s extensive licensed sports and entertainment spirits line. Silver Screen Bottling Company is a partnership between The Whitener Company and Chronicle Collectibles forming a premiere licensing, bottling, and distribution company for the most prized properties in film, television, and gaming industries with plans to deliver expertly crafted and marketed spirits, collectibles, and merchandise. 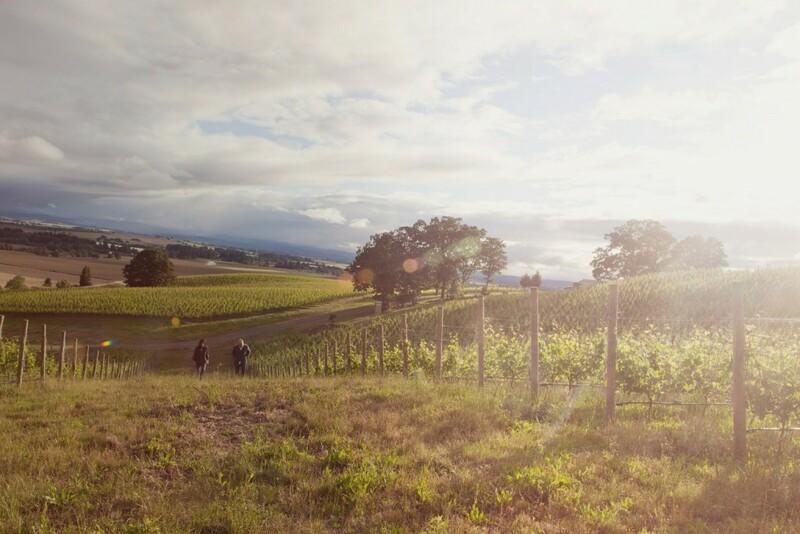 Antica Terra, one of Oregon’s most innovative wineries guided by the aesthetically oriented Maggie Harrison (formerly of Sine Qua Non and recently featured and dubbed “one to watch” by Food & Wine), has just announced an unprecedented addition to its already extraordinary tasting experiences. Having always offered a comprehensive tasting experience featuring Antica Terra’s current releases as well as a rotating selection of inspirational bottlings from around the world, the Collective Tastings at Antica Terra now all begin with Royal White Sturgeon Osetra and Champagne followed by house-made hen liver and foie gras terrine, a selection of farmhouse cheeses curated by Steve Jones of Portland’s Cheese Bar, jams by Ayer’s Creek Farm and Alma chocolates. All tastings at Antica Terra offer a superlative journey through the senses including a selection of rare and inspiring wines from all over the world thoughtfully compiled and sourced by Winemaker Maggie Harrison. A total of nine wines are poured at each. The Collective Tastings are approximately 90 minutes and $75 per guest. Reservations are required at least one hour in advance and can be made by calling (503) 244-1748 or via www.anticaterra.com. The winery is located at 979 SW Alder Street in Dundee. 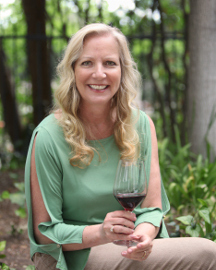 Antica Terra co-owner and winemaker Maggie Harrison arrived in 2005 from Ventura County where she had spent the previous eight years making Syrah at the iconic Sine Qua Non winery. Maggie’s approach to winemaking is informed by the notion that beauty is conveyed in the accumulation of minute human actions. 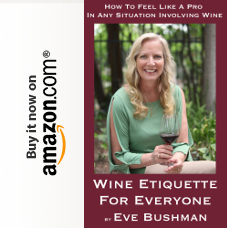 She sets aside reductive thinking that often associates the quality of a wine with simple quantities (such as pH, alcohol and SO2) and formulaic actions, believing the quality will instead be determined by her combined interaction with fruit and vine. In the Antica Terra winemaking process, clusters and individual berries are meticulously sorted by hand. The wines are fermented naturally, manually punched down and tread by foot, siphoned and bucketed into barrel, never settled or racked and aged on the lees before being bottled without fining or filtration. FORT BRAGG, CA – The 34th Annual Winesong — a spectacular weekend of award winning wine, fabulous food, fine art & music, and charitable giving produced by Mendocino Coast Hospital Foundation – will take place on the Mendocino Coast on Friday, September 7 and Saturday, September 8, 2018. Winesong has just announced key honorees at this year’s event: Wine pioneer Dan Duckhorn, Founder and Board Member of Duckhorn Wine Company, has been named the 2018 Honored Vintner, and local artist, winemaker, and baseball enthusiast Tom Rodrigues has been named the 2018 Artist of the Year. Winesong is thrilled and honored to feature two staunch supporters of its annual event. Dan Duckhorn has been supporting Winesong for over two decades in both the Grand Tasting and Live & Silent Auctions with his brands Duckhorn, Goldeneye, Migration, Paraduxx and Decoy. Tom Rodrigues has also supported Winesong for decades with his art and his wines, and this year as he celebrates 50 years as a glass artist, he was the clear choice as Artist of the Year. Both Dan and Tom have generously given of their time and talent over the years, and each has a storied career. Accomplished doesn’t begin to cover Dan Duckhorn and his illustrious career. Over the course of four decades, Dan Duckhorn has been a leader in the Napa Valley wine community. A native of northern California, Dan earned his master’s degree in business administration in 1962 from the University of California at Berkeley. Through the course of his early career, Dan held managerial positions at major companies before becoming president of Vineyard Consulting Corporation (VCC) in 1971, in what would provide a turning point in his life. After learning much about terroir and grape growing, and taking a life altering trip to France, Dan and his then wife Margaret, along with a small group of friends co-founded Duckhorn Vineyards in 1976. 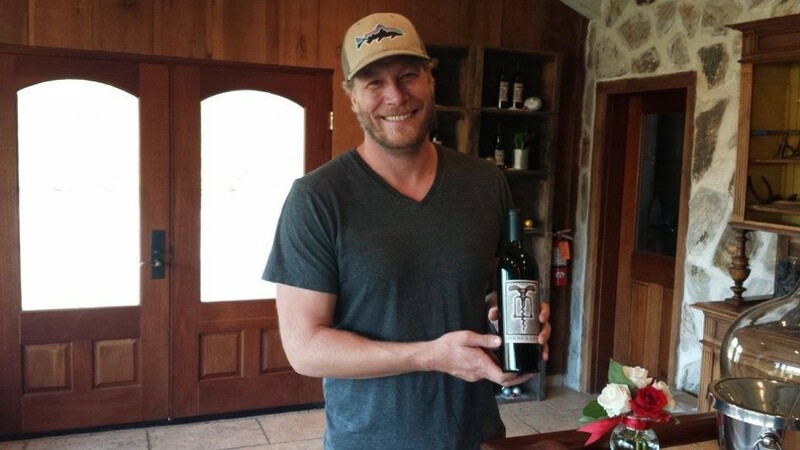 Dan chose Napa Valley as the ideal area for producing quality wines with depth and character. He made the pioneering decision to focus his passion and resources on the production of a world-class Napa Valley Merlot – a premium stand-alone Napa Valley Merlot. The first Duckhorn Vineyards harvest in 1978 consisted of 1,600 cases in two bottlings. Proving Dan’s belief that great wines begin in the vineyard, 1978 turned out to be an excellent first vintage partly due to a wonderful growing season. Under Dan’s leadership the winery spent over 35 years proving that Duckhorn’s commitment to quality and excellence is real. In 1988, Dan began leading Duckhorn through a period of careful growth and worked to create an estate program bearing a continuous supply of the finest fruit. Dan also diversified Duckhorn Vineyards’ parent company, Duckhorn Wine Company, to include Paraduxx, Goldeneye, Migration and an expanded Decoy line. Tom Rodrigues is a passionate guy with a wide range of interests. While most people know Tom as the vintner at Maple Creek/ARTEVINO, Tom’s first love was art, and this year marks his 50th year as a glass artist. He began at age fourteen as an apprentice at a stained-glass studio in his hometown of Los Gatos, California. Before graduating high school, he started his first business, Sunrise Stained Glass Studio, creating a full spectrum of commissioned glass pieces from Art Nouveau lampshades to full installations in churches and residential panels. He relocated to Marin County, opening his own studio. In 1980, he was recruited as the designer and production manager for the stained-glass studio for Skywalker Ranch, Lucas’s film complex. Perhaps his most famous painting series shows another love for America’s greatest pastime —baseball. A trunk full of baseball memorabilia from Hall of Famer Smokey Joe Wood’s son inspired a series of 30 paintings of the game’s best players. This collection was first exhibited in a first-of-its-kind performance and conceptual art show on the field of Candlestick Park in 1993, “Legends at the Stick”. This series was also featured in Sports Illustrated. Friday, September 7, 2018 | 1 to 4 p.m. Presented by Winesong and hosted by Little River Inn, this memorable event features Pinot Noir from renowned Anderson Valley, as well as from other wineries in Mendocino County and award-winning pinot regions. Little River Inn pairs delectable hors d’oeuvres on passed trays during this fun pinot tasting. Saturday, September 8, 2018 | 11 a.m. to 2 p.m. 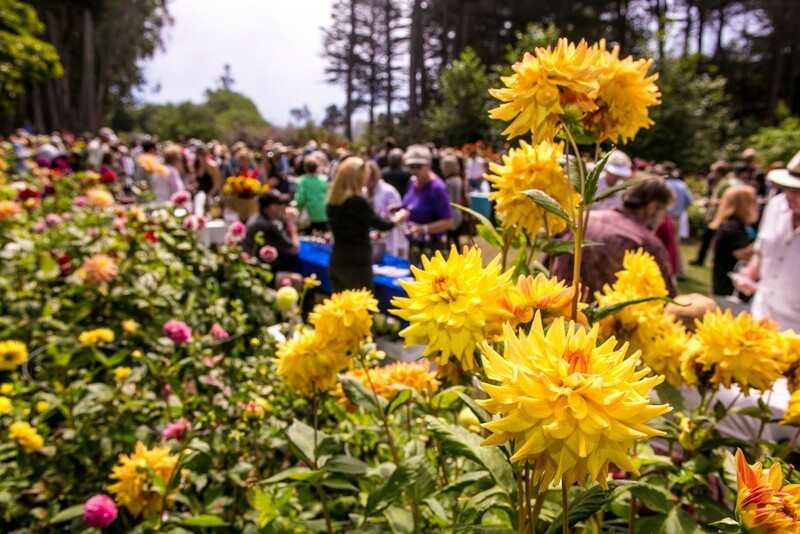 Wander through the lovely Mendocino Coast Botanical Gardens while enjoying samplings from world-class wineries from Mendocino, Sonoma, Napa, and beyond as well as beer, spirits, and ciders; plus food bites from nearly 50 local and regional artisanal food purveyors. The tasting is accented by numerous musical groups performing a variety of styles including jazz, classical, blues, calypso and folk rock. Saturday, September 8, 2018 | SILENT: 11 a.m. to 3 p.m.; LIVE: 2 p.m. to 5 p.m. The cornerstone of Winesong weekend is the Charity Auction, featuring both a silent and live auction. Nearly 200 lots will be on offer, featuring spectacular wines from the world’s most prestigious wine producers, rare vintages, large format bottles and special vertical and horizontal collections (including a Pahlmeyer vertical), as well as original art from acclaimed California artists and highly coveted international and domestic vacation packages, including another spectacular 10-day trip to South Africa. Deemed America’s Best Charity Wine Event by Enobytes.com, Winesong is a must-attend event for lifestyle lovers, wine enthusiasts, and wine collectors of all levels. It’s a feel-good weekend of fun and philanthropy, and it’s on the breathtaking Mendocino Coast! Please visit www.winesong.org for details and tickets. They do not protect the juice at any stage from oxygen; they do not settle. They do not make press fractions. In general, they consolidate fermentations; there is no multiplication of differences. At the beginning of his winemaking, he used a little SO2. Now, no sulfur is used at any point. The wine ferments and ages in neutral oak vessels of various sizes. Originally all 220 liter, now many 400 liter. There is no stirring ever, no racking until bottling, topping only every few months if at all. I get the impression that he tops from other lots of younger wines, but I am not sure. Nothing is ever inoculated; the winery in which he has made most of his wine was originally created in the 11th century. As far as he knows, commercial yeasts have never been used in it; nonetheless he has no illusions about the source of his microbiology. He does everything he can to cultivate the microbiology of his vineyard, and to translate as much of it as possible to the winery– but, if I understand him correctly, he thinks that this comes in in the composition of the grapes, not as microbial passengers on the skin of the grapes. There is no hot water or soap or other disinfectants in the winery. Originally, he burnt sulfur mined from the earth in the barrels but he does this no longer. This discussion, as I said, took about 30 minutes and was easy and casual. It was much more a discussion than an interview. Xavier listened carefully to my account of how we work at Scholium and I took pains to draw precise distinctions between his methods and ours. None of this meant anything to him. He clearly has his own paths (“The wine must reflect the ‘mentalité’ — the thinking– of the winemaker”; but more on this too) and, as far I could tell, was only interested to hear how we worked because he likes other human beings, not because he cares how anyone else makes wine. When I quoted him above on the “thinking of the winemaker,” he clearly did not mean something like it was his job to impose his thinking on the grapes– rather, there is no way for the thinking– the whole thinking, metaphysical, physical, religious, sentimental– no way for this NOT to affect the wine– so better to be clear and conscious about it. 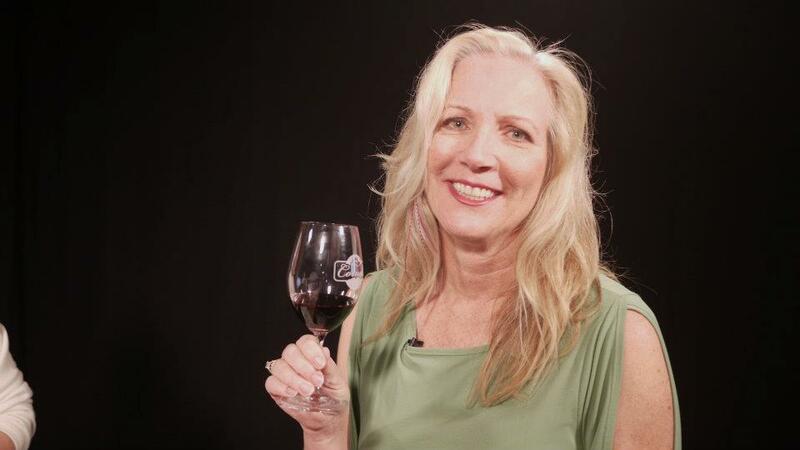 After I tasted wines from the California High Desert AVA with Wine of the Month Club’s president Paul Kalemkiarian via YouTube, I got an email a few weeks later from another winery in the high desert, High Desert Cellars Chavez Vineyards. They wanted me to taste their award winning wines (see “From the Winery” below) and write up some tasting notes for you, our Dear Wine Friends. Stewed mushroom, green bell peppers cooking in fajita seasonings, black pepper, leather, blackberry; lovely dark peppery fruit, juicy blackberry, black pepper again, good tannins. 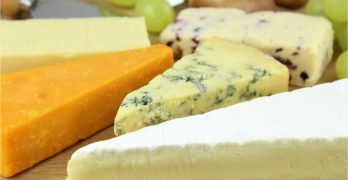 Pair with grilled steak or any meat-based dish in my humble opinion. Drink now. Floral rose petals, plum, dark chocolate, leaves, wet earth and leather; red fruit, tannic, black pepper, smoke, bark. I could steadily sip this wine alone – and I did – or enjoy with food. Drink now or up to 5 years of down time. I liked the alcohol content and didn’t get any of the heat accompanied with high alcohol percentages. With that said, for a Zinfandel, it was fairly easy drinking with only a mild amount of pepper and spice. Three of our wines have won medals from the 2014 San Francisco Chronicle Wine Competition! Our 2010 Syrah won GOLD. Our 2010 Merlot won SILVER. And our Zinfandel won BRONZE. We are thrilled to receive this honor! 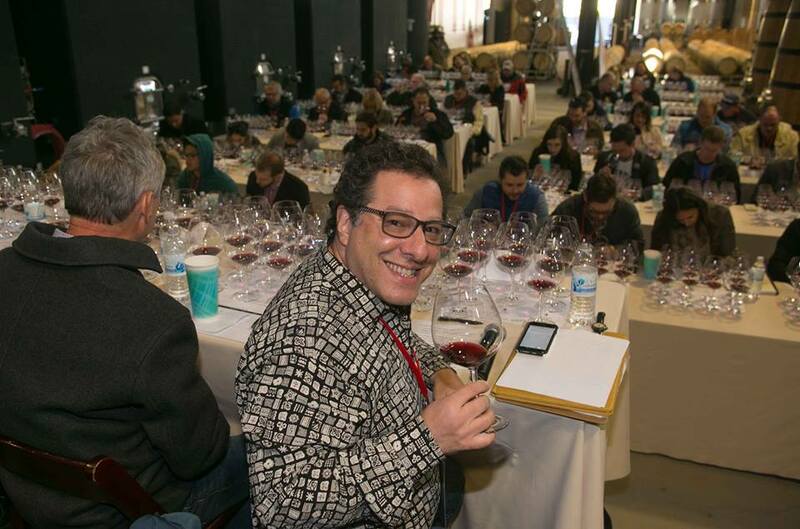 The 2014 SFCWC had a record number of 5,825 entries from over 1,500 wineries from 25 states in America – the largest competition of wines in America. The Public Tasting Event will be held at the Fort Mason Center in San Francisco on Saturday, February 15, beginning at 1:30PM, and we are making plans to attend and pour our wonderful wines. Efren Chavez is the proud owner of High Desert Cellars – Chavez Vineyards and he has been in the grape growing business since 1978, starting in Sonoma County in the Russian River Appellation, Alexander Valley. In 1999 Efren started Chavez Vineyards on 20 acres located in east Palmdale, in the Antelope Valley of the California High Desert. Producing wine from grapes of uncompromised quality, including red varietals of Cabernet Sauvignon, Petit Verdot, Syrah, Merlot, Zinfandel, Tempranillo, Malbec, Barbera, Alicante Bouchet, and white varietals of Chardonnay, Semillon, Viognier, Muscato, as well as rose wines of Merlot and Syrah. The first bottles of wine under the Chavez Cellars label were bottled in 2009. 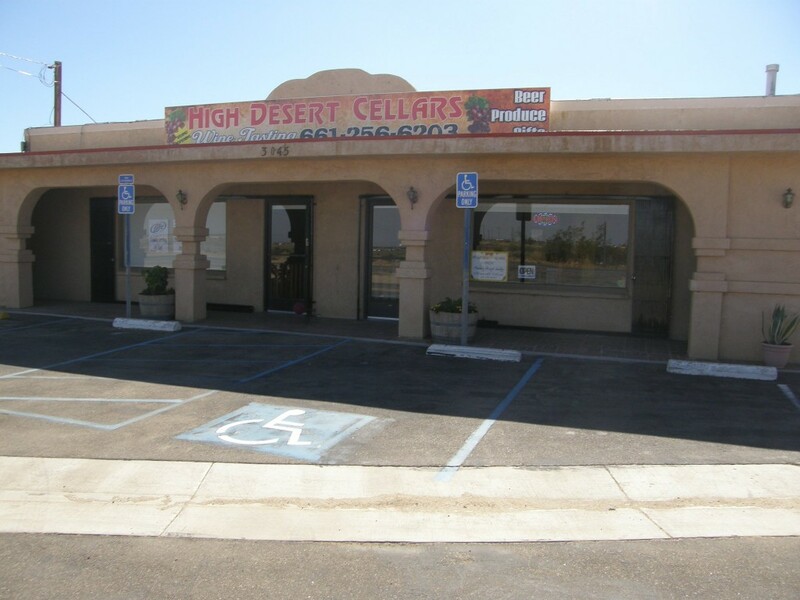 Efren’s ambition of opening a tasting room for his wines became reality in June 2011 – High Desert Cellars Winery and Tasting Room held its grand opening. The beautiful tasting room offers fines wines for tasting, as well as beer, soda, water, snacks and unique gifts. Our wines can also be enjoyed in the outdoor garden area, along with a picnic lunch if desired. I expected a nice dinner, fun company and good wine, which I got, but at the HMNMH Foundation fundraiser I also had some interesting one-on-one time with Ojai Vineyard’s assistant winemaker Fabien Castel. But first we must start with some hand passed appetizers – marinated tuna and red potatoes – paired with a bright and cheery 2012 rosé that cooled off the guests as they entered and mingled in the private Salt Creek Grille patio. I got to say hello to Marlee Lauffer, Wendy Whitehead, Jason and April Price, Jill Friedman, Tim and Jenny Ketchepaw, Charlie Borreson, Julia Vose and Jay Cappilla, Diana Vose, Bob and Margo Hudson, Robert Herring, Cindy Tompkins, Jennifer Chadwick, Chef Tamra Levine and Greg Amsler. Then, settling us down to our tables, Wendy Whitehead, the president of the Guild, thanked the board, Salt Creek Grille and the guests before introducing Castel. Castel is French, and his only experience with wine was that he had drank it. Then he met Ojai Vineyards’ winemaker Adam Tolmach and began as his apprentice. Castel produced his first vintage in 2001. “When making wine you are reminded of the time it takes to make the wine, even a change in equipment changes aesthetic of the wine. Tonight Castel said he was met by very interested people; a wide diversity of how people approach wine, and (pleasantly) very unpredictable. Executive Chef Ignacio Munoz and his staff cooked all of the dishes and Catering Director Tamra Levine designed the pairing menu. After the appetizers the guests enjoyed a ‘10 Chardonnay with a roasted beet salad; the Chardonnay, similar in taste to a Sauvignon Blanc but with more balance and less acidity, was a nice complement to the tangerine cream dressing that Chef Tamra had designed. The ‘10 Pinot Noir was excellent with the salmon and steak course – and because I wanted to save the ‘08 Syrah for the decadent chocolate soufflé dessert. By 7:30 p.m. the sun had set, the air had cooled and the conversation swelled. Most guests revisited the wines we had been served while chatting. Then we got a big surprise as a magnum of cellared Pinot Noir made its rounds. A ‘91 Pinot, that we were warned had a distinct barnyard nose, I couldn’t wait to get my hands on. The manure aromas before and after tasting, blew off in a few minutes of swirling in my glass. It was totally amazing: dry, mature fruit, pepper, 2011 port notes…how was that possible? Those at my table, when I mentioned port could both smell and taste it. Why 2011? Well, only because of the ’11 Vintage port tasting I had attended a few weeks ago had jaded me. It had lingered on my palate as long as this Pinot Noir, from Ojai California, did. As we neared the end of the evening Salt Creek Grille owner Greg Amsler came out and thanked his chefs and staff. And yes, there was applause. Established in 1984, the Henry Mayo Newhall Memorial Health Foundation strives to increase community awareness of Henry Mayo Newhall Memorial Hospital, and raise vital funds for expanding services and acquiring new technology to bolster the level of care already available at the Hospital. The Foundation has raised more than $50 million to give the residents of our community access to exceptional medical care. It has been no secret that I am a fan of Abe Schoener’s Scholium Project wines. I am also a fan of Abe Schoener. Yes, his wines are good, often great, sometimes challenging. 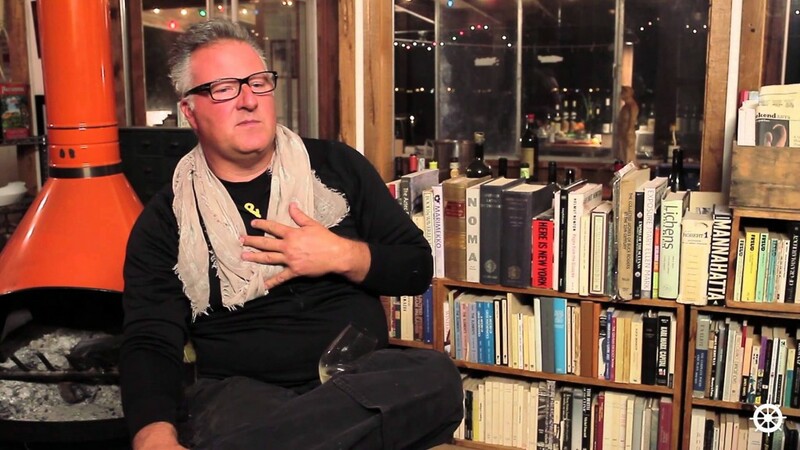 In addition, it is his philosophical approach to winemaking and vineyards that really resonates with me. When I got an email from him recently announcing his Fall release, I wanted to share it with the readers of Eve’s Wine 101,not because I want you to buy his wine [although I think you should] but to give you some insight into what he is all about. He expresses better than I do the importance of the old vineyards of which I am so fond. This email (now a blog post via Michael Perlis) announces and invites you to purchase our Fall Release. But first a manifesto, to help position it. Reflection before Commerce. It’s harvest, and of course we are excited. But we have had a pause– it will be two more weeks before we bring more fruit in. So there is time for reflection. Today, when we were sampling Bechtold, trying to get a sense of when we would bring it in, and how good it would be, it occurred to me that, “Now, I know this vineyard. And so does Alex, and Brenna. We are no longer astronauts on Mars here; we are at home.” We can quickly see the signs of mite damage, and consider how that will affect the ripening; we can cast our eyes on the clusters and sense right away, “bigger than normal, but smaller than the first year, 2008 . . . ” The point is not that we are merely experienced, but that our work here, and in nearly every aspect of what we do, has graduated into a new phase. We are no longer exploring with every move, we are now making things with skill and knowledge. We feel joy with every move– every harvest, every pressing, every bottling. But now in addition to our daily joy, we are making wines with mastery. We are finally in a position to create something classical. And here is what I meant: We are not working or thinking in opposition to some existing pattern or scheme– something “old.” We are working within a world created by our teachers, parents, and anonymous antecedents. We too are trying to fashion something abiding and valuable, that will stand on its own, and stand not just in opposition to or rejection of something else. No one knows or teaches this better than our friend and colleague, Tegan Passalacqua. Just today at lunch he reminded us of the “legendary ’81 Topolos Alicante Bouschet. Like Hermitage. . . . From two old vineyards in Sonoma.” His knowledge is not antiquarian or even a connoisseur’s– his knowledge is living and dedicated to helping us grasp what came before us, what heights have been hit, then almost forgotten. It is for this reason that we dedicate ourselves to old vineyards and unglamorous regions: because of what has been accomplished there, even if it is now ignored. So it is not just because we are rebels or iconoclasts, or contrarian, or even thrifty, that we have pushed our work beyond the bounds of Napa or the charms of Cabernet– we do so not because Lodi and Trousseau promise novelty, but precisely because they promise the opportunity to do something classical– again. [About the fall release –] …Two or three really have some claim on the classical: the Prince, from a relatively young vineyard in Sonoma; and 1MN, from the own-rooted Cinsault,…planted in the middle of Lodi in the 1870s; Michael Faraday: Chardonnay noble, strong, like and unlike its peers from Burgundy and the Jura. All of the wines in this release are great, and at least one expresses a spirit of bold experimentation, no matter what I say about the classical. Now let me share another reflection. What are the peers of these wines? If the wines were vines or microbes, we would ask: what is their ecology? When I started out, as iconoclastic as my crazy wines might have been, I saw my wines as outsiders positioned both within and against the world of expensive cult Cabernets and rich, pricy Chardonnays. I don’t mean that I hoped for or expected the financial success of the most famous wines, but I did want my wines to compete against them, or at least circulate within the same world. This made me price them a certain way– in part, to make sure that they were compared to, and ranked with these very fancy wines. And now, a little more than a decade after I set the prices for the first Scholium wines, I see that they are now moving in a very different world. 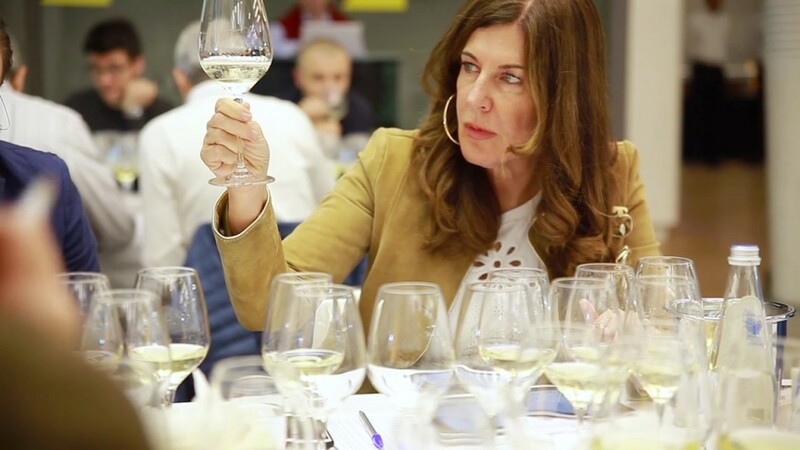 What is so interesting to me that the commercial world within which these wines circulate is very wide– it is not in the least limited to California. Our new classics, as much as our earnest experiments, now move in a world full of natural wines from the Loire, old vine Nerello from Mt. Etna, Assyrtiko from Santorini, and an army of (as yet) unpronounceable wines from the eastern reaches of the Hapsburg Empire. And this is true not just in the United States, but in England, Denmark, Japan, even France– where there is now not just a market but a hunger for our wines. And not in opposition to these other wines, but as part of a truly international movement. And this world, of course has the occasional $100 bottle, but it is a world peopled with wines much more modestly priced. They are still luxuries, but middle-class luxuries– not the baubles of oligarchs. This hit me when a friend opened a $40 bottle of St. Bris for me and said, “I hope that it is good. It is my only bottle. This was my whole allocation.” In this new ecology, the most sought after wines do not require exhorbitant prices. And so, you can drink more of them. This has been quite a lesson to me, and it has seemed only right to try to ensure that the prices of our wines clearly demonstrate the world in which they move. And so once again, we experiment. We are going to lower the prices of our two most expensive whites– and, over the course of time, you will see a few of the other wines simply disappear. I will write more about this in the future, and have told you a little already, but our focus will be on fewer wines, mostly white, and all of them more clearly in the orbit of the St. Bris. There you have it.